We are family owned and operated and pride ourselves in giving our customers a personal and friendly service. When you have car problems or break down we understand how stressful it can be. You can be confident that we are the best company to handle your needs. Our company has built a reputation of quality customer service, competitive rates backed by our safety-conscious, professional and courteous drivers. 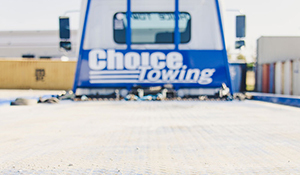 Regardless of miles or destination, you can trust us to take care of all your towing needs. Why is it that when your vehicle breaks down, it always seems to be at the worst possible time? It’s late at night...it’s raining... you’re in a hurry. Don’t worry! We are available 24 hours a day, 7 days a week. Our operators are on-call, ready to help you! We go anywhere, at any time, to rescue your vehicle or equipment. 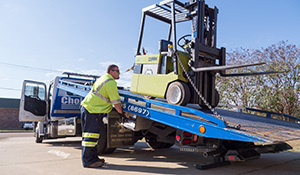 For Heavy Towing, we understand that when one of your trucks is disabled, your bottom line is at risk. 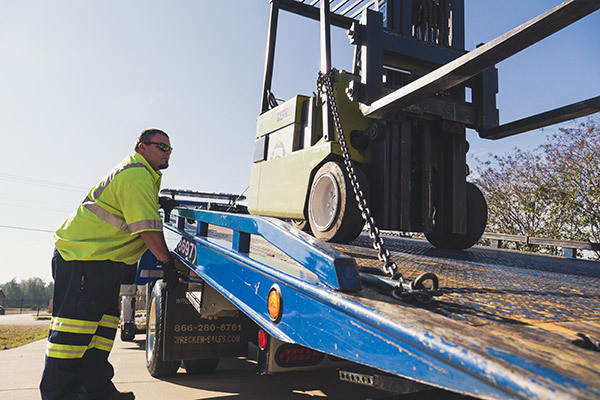 We can quickly transport or recover a wide range of Light Duty equipment or products. Wider, longer, heavier vehicles or awkward sized equipment/products are no problem for us. We go anywhere, at any time, to rescue your vehicle or equipment. 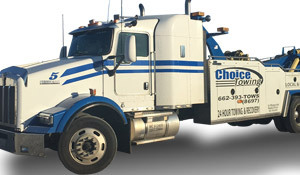 We offer so much more than light duty/medium duty towing, heavy duty towing and emergency roadside assistance. Our fleet is on the highways and streets of our cities and states every day, delivering a wide variety of vehicles and equipment to their destinations. 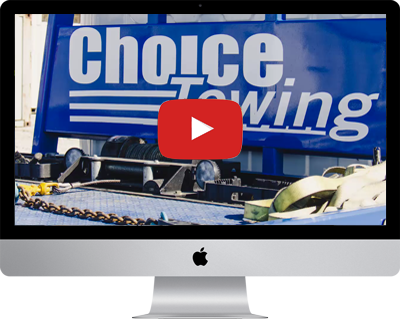 Click here to learn about all of the towing services we offer. Contact us and get towing NOW! © 2018 Choice Towing All Rights Reserved.